سدریک اینترتینر (اینگیلیسجه: Cedric the Entertainer) آمریکالی اوْیونچو. ۲۴ آوریل ۱۹۶۴ ‏ ایلینده آمریکادا دۆنیایا گؤز آچیب. 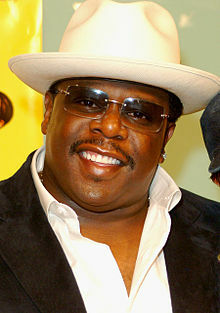 2006 Wild 'n Out Himself Episode: "Cedric the Entertainer"
2007 The Boondocks Cousin Jericho Freeman (voice) Episode: "Invasion of the Katrinians"
2011 Take Two with Phineas and Ferb Himself Episode: "Cedric the Entertainer"
2011, 2014 Hot in Cleveland Reverend Boyce Ballentine Episodes: "Bridezelka"; "Stayin' Alive"
2012 2 Broke Girls Darius Episode: "And the Pre-Approved Credit Card"
2013 Real Husbands of Hollywood Himself Episode: "Blackstabbers"
2016 Another Period Scott Joplin Episode: "Joplin"
2017 Master of None Kenny the Magnificent Episode: "Door #3"
2017 Drop the Mic Himself Episode: "Niecy Nash vs. Cedric the Entertainer / Liam Payne vs. Jason Derulo"
2017 Nightcap Himself Episode: "Spinster Code"
اینگیلیسجه ویکی‌پدیاسی‌نین ایشلدنلری طرفیندن یارانمیش«Cedric the Entertainer»، مقاله‌سیندن گؤتورولوبدور. ( ۲۲ ژانویه ۲۰۱۸ تاریخینده یوْخلانیلیبدیر). قارداش پروژه‌لرده سدریک اینترتینر گؤره داها آرتیق بیلگی‌لر تاپابیلرسینیز.